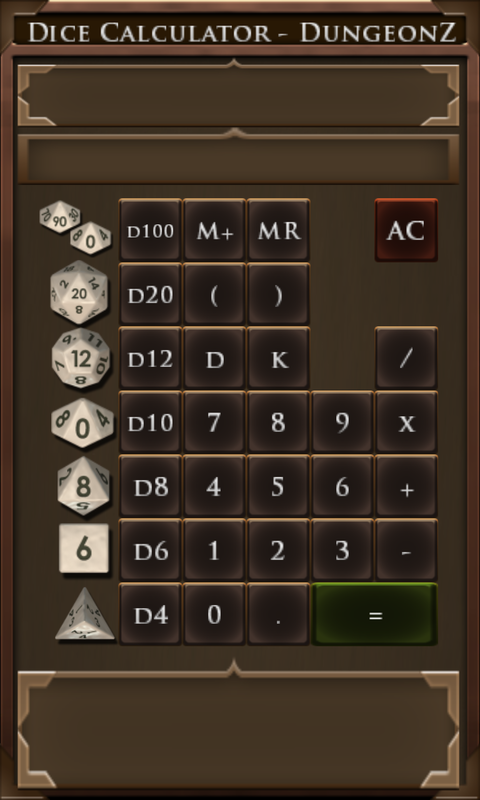 For my first application to publish across platforms, I wanted to write a dice calculator. Basically, it is an algebraic calculator that supports dice notation. I wanted the application to be complete free. This includes no in-app purchases, no ads and no up-front costs. Initially, I wanted to target Windows Phone and Android Phones. I have the desire to target iPhones, but I don’t own one, so I wouldn’t have a means of testing it. Pretty basic, huh. Here’s a quick rundown with some examples on how it works. the ‘d’ key is used to indicate ‘dice’. For example: D6 equals a six-sided die. D20 equals a twenty-sided die. 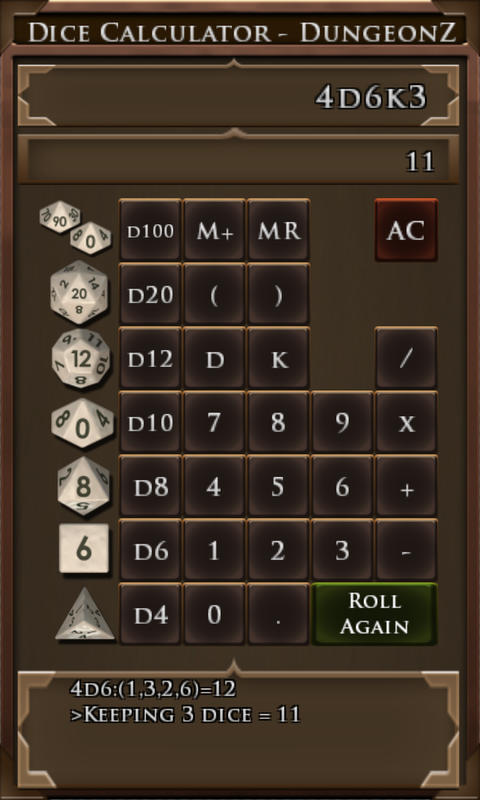 You can put a number before the ‘D’ to indicate how many dice to roll. So, 3D6 means to roll three, six-sided dice and to add their results. If you type that into the calculator and hit the ‘=’ button, you will see the formula in the top window, the total in the window just under it, and a breakdown of your rolls in window at the bottom of the application. The ‘K’ key means to ‘Keep’ the highest rolled specified number of dice. The above example show us rolling four, six-sided dice and keeping the highest three dice. The window at the bottom shows the breakdown. 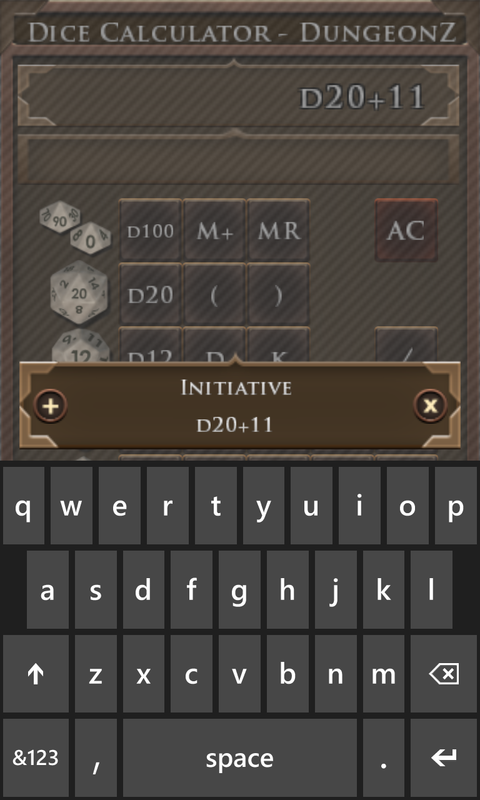 On the left-hand side, some quick keys are provided for common types of dice, usually used in role-playing games such as Pathfinder and Dungeons & Dragons. Once a ‘roll’ has occurred by pressing the ‘=’ button, it will change to the ‘Roll Again’ button so you can quickly re-roll the same formula without having to type it in again and again. 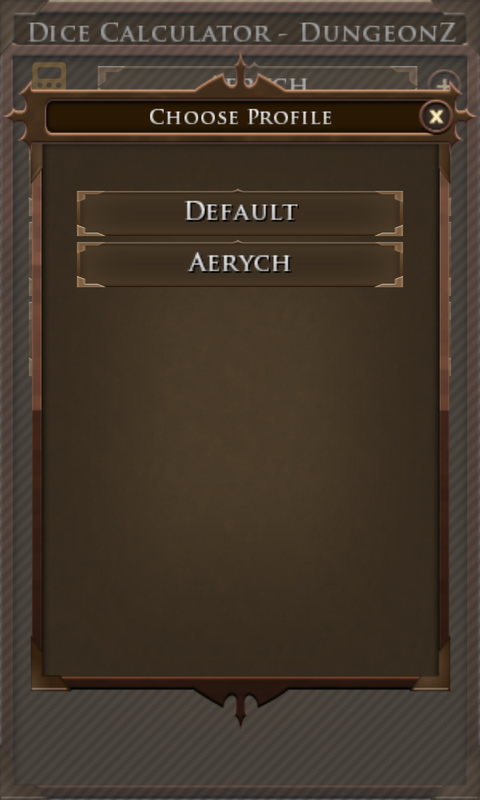 The M+ / MR buttons mean to ‘Add to memory’ and to ‘Read from Memory’. The above screenshot shows adding a formula to memory. You can give it a name so it can be recalled easily. 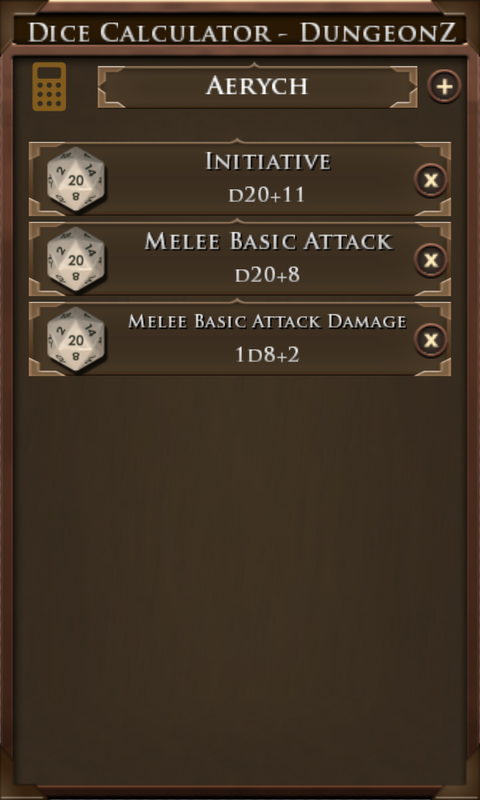 For many role-playing games, one might have different characters with different skills, bonuses, etc… I added the ability to remember formulas into different profiles. That’s about it for the functionality. Small, clean and with a singular focus. If you have suggestions or comments, please let me know. This entry was posted in Dice Calculator and tagged D20, Dice Calculator, Dice Roller, Role Playing. Bookmark the permalink. Welcome to my blog. Most of the focus will be on application development, design and my experiences with my applications.